The U.S. Senate is now scheduled to vote on the Opioid Crisis Response Act of 2018 on Monday, September 17. Upon anticipated passage, leaders in the House and Senate are expected to quickly reconcile differences between the two chambers’ bills. While the existing legislation represents critical steps in addressing the opioid and drug epidemic that claimed 72,000 lives in 2017, any final package would be further strengthened by the inclusion of provisions to align federal regulations that govern confidentiality of drug and alcohol treatment and prevention records (42 CFR Part 2) with HIPAA. 42 CFR Part 2 (Part 2) is a law that regulates the sharing of substance use disorder (SUD) records. Protecting patients’ confidentiality is of the utmost importance, and the outdated nature of Part 2 has created barriers for providing the best care possible to persons with SUD. A lack of access to the full scope of medical information for each patient can result in the inability of providers and health systems to deliver safe, high-quality treatment and care coordination. These barriers can lead to potentially dangerous medical situations for patients. In June, the House of Representatives passed H.R. 6082, the Overdose Prevention and Patient Safety (OPPS) Act, by a vote of 357-57. The OPPS Act aligns Part 2 with the Health Insurance Portability and Accountability Act (HIPAA) for the purposes of treatment, payment, and health care operations, while strengthening consumer protections against the use of addiction records in criminal, civil, or administrative proceedings or investigations. The bill further amplifies consumer protections by incorporating antidiscrimination language and enhanced penalties for any breach of a patient’s substance use record as well as a breach of notification to the patient. S. 1850, the Protecting Jessica Grubb’s Legacy Act, is the Senate bill to modify Part 2. The House and Senate opioid packages contain myriad initiatives designed to attain the goal of providing better treatment and coordination of care for persons with substance use disorder. However, the success of some of these new initiatives will be undermined without the simultaneous alignment of Part 2 with HIPAA. The inclusion of Part 2 provisions (H.R. 6082/ S. 1850) in the final opioid bill will allow for better coordination of care and ensure that health care professionals have the information they need to safely and effectively treat all patients. 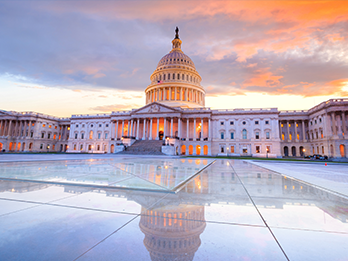 ACT NOW: Contact your lawmakers TODAY and urge your them to include provisions aligning Part 2 with HIPAA (H.R. 6082/S. 1850) in the final opioid package. To contact your Senators and Members of Congress, call the U.S. Capitol switchboard at (202) 224-3121. A switchboard operator will connect you directly with your lawmaker’s office. You do not need to know his or her names; you can simply provide the switchboard with the state you live in. Hello. My name is (name, city you live in, place you work (if applicable)). Any final opioid legislation must include the provisions in H.R. 6082/S. 1850 to align Part 2 with HIPAA. Failure to align these regulations will undermine the policy programs included in the broader opioid package by inhibiting the effective coordination of care between health care providers. Aligning 42 CFR Part 2 with HIPAA is critical to reduce stigma by treating addiction like all other illnesses, allow for care coordination, and improve patient safety. Thank you.